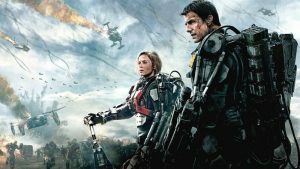 LIVE DIE REPEAT (formally just EDGE OF TOMORROW) is an intense, action-packed and engaging film that plunges the viewer expertly in a seemingly impossible battle to defeat an alien invasion of Earth. 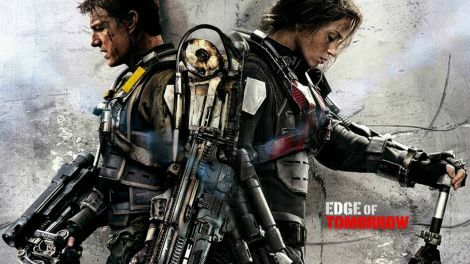 It utilizes a recurring scenario in which unwilling soldier Major William Cage (Cruise) repeatedly dies and relives the same day during an attempt to gain a beachhead in Europe. 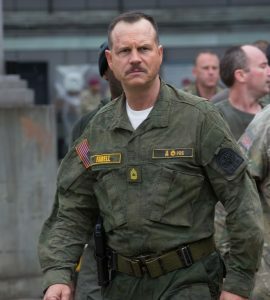 The parallels to D-Day are obvious (just check out the theatrical release date) and the action sequences orchestrated by Doug Liman (THE BOURNE IDENTITY, MR. AND MRS. SMITH) are top-notch. The f/x are seamless and nearly everything about this film is just pure, unadulterated fun. The term “Popcorn Movie” comes to mind. In fact, for me it was one of the most entertaining movies of 2014. 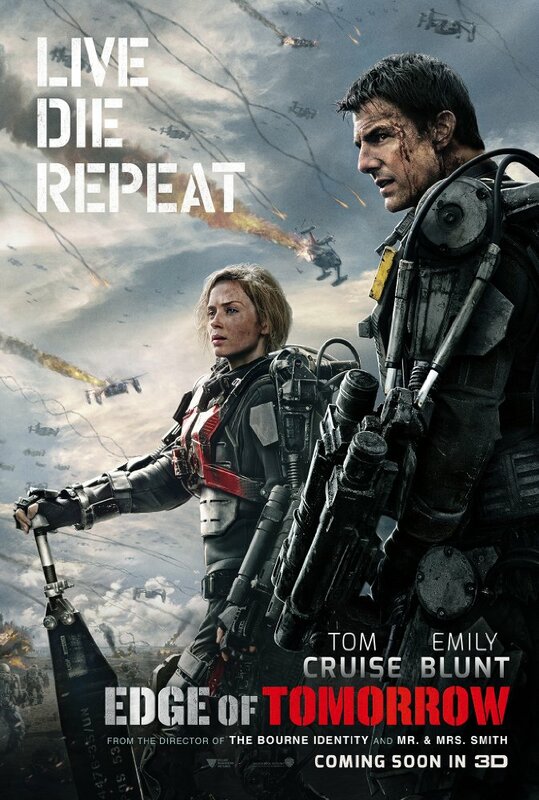 LIVE DIE REPEAT: EDGE OF TOMORROW, despite the marketing issues, the title change, and the quirky plot setup that features a repeating death scenario, is entertaining, action-packed and laugh-out-loud funny. With a sequel now on the way, genre fans should try to catch this one as soon as they can. Enter TSJ’s contests to win a mug here.